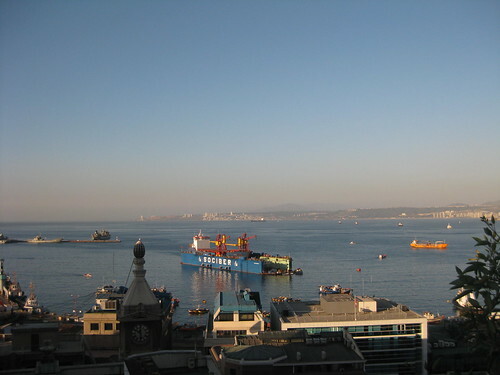 The port city of Valparaíso sits on the hills rising from the beautiful Pacific Ocean about an hour and a half west of the capital city of Santiago. Valparaíso’s historic hills offer one of the city’s most famous landmarks: the funiculars known locally as acensores. These funiculars have helped local residents get up and down the city’s hills for over one hundred years. Unfortunately, the funiculars are a slowly dying breed of transportation. Many of them have fallen into disrepair and are closed to the public. 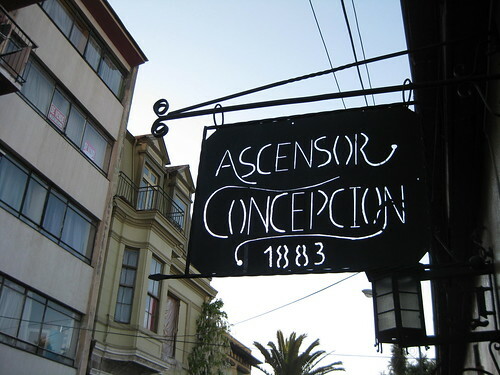 The Ascensor Concepción was Valparaíso’s first funicular built in 1883. Pay a few hundred pesos and you can ride the acensor to the top of the hill. Along with the view from the top of the hill, you’ll also find local artisans and street vendors with their tables or displays showing you their art or other touristy trinkets. If you are a fan of the show The Amazing Race, you’ll notice familiar surroundings, since one season passed through this very spot. 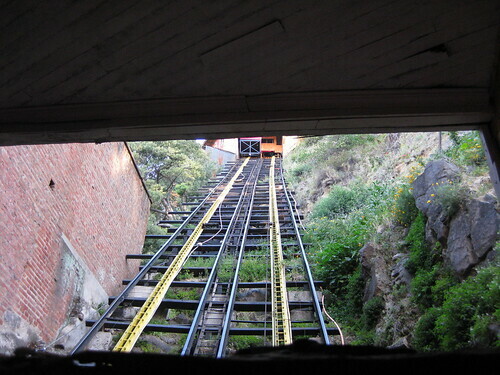 When you are done exploring and enjoying the sights, head back to the funicular for the ride down the hill. As fun as the ride up the hill was, the downward journey is even more exhilarating. The descending car seems to pick up speed as it approaches the arrival dock at the bottom of the hill. The people waiting for the next ride appear through the windows below as the car slows and jerks to a stop. Take a minute to admire the workmanship of the machinery, gears, and cables that power the funicular when you exit the car and station. 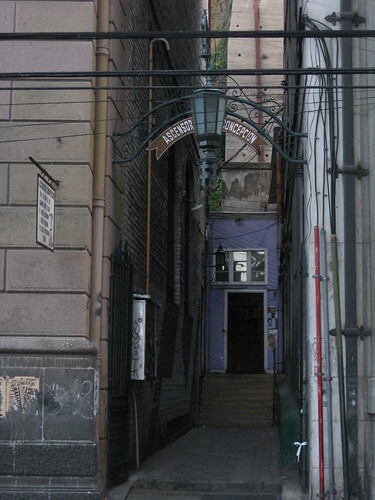 Valparaíso is famous for these aging acensores. They offer a glimpse into the historical past of the city and help you get a beautiful view of the city. Wherever you are in the city, find the nearest working acensor and go for a ride. It will be a memorable experience that will round out your time in Valparaíso.